Crispy, fried and packed full of worms: Hanoi's "cha ruoi" ragworm fritters are a winter foodie favourite in the Vietnamese capital, but the deep-fried delights are not for the squeamish. The piping hot patties are made with pork, egg, fresh dill, citrus rind and a hefty handful of fried worms and served up from streetfood stalls and home kitchens across northern Vietnam. The edible critters flood farmers' fields as temperatures in the north drop around October and November. Purveyors of the snack, which cost around $1 each (about R14,47), urge customers not to be put off by the sinuous insides. "It looks ugly but don't be afraid," said Bui Thi Nga, whose family has served up the speciality for 30 years. "The insides are delicious, and they're high in protein," she told AFP from her Old Quarter stall on a chilly December afternoon. The worms can also be stewed in a sticky caramel sauce, stirred with herbs or mixed with chillies to make a spicy condiment. But ragworm fritters - best prepared while the wriggling worms are still alive - have long been a favourite. The pancake-shaped patties have been made in northern Vietnam for generations, and are even credited with keeping married couples happy. 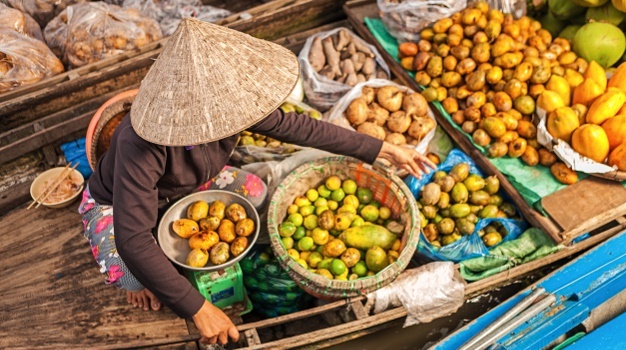 "If a couple misses even a bite of 'cha ruoi' during the season, not only will the wife lament but the husband will surely complain," author Vu Bang wrote his his 1952 book "Hanoi Delicacies". 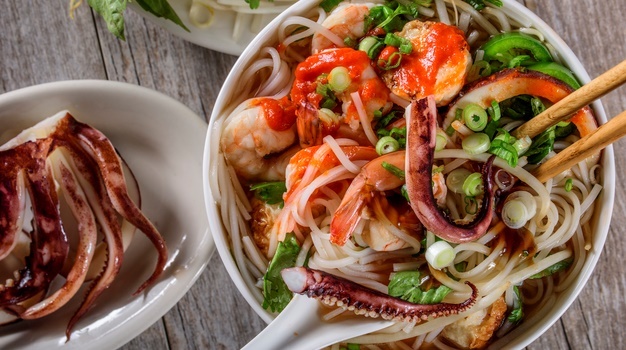 Though Vietnamese cuisine is best known outside its borders for "pho" noodle soup and "banh mi" pate baguettes, winter fritters are not the only dishes to feature creepy crawlers. Deep fried crickets, squirming coconut worm larvae, locusts and stink bugs are all on offer on Vietnamese menus. Chefs from Paris to Sao Paulo have embraced the trend, dishing up grasshoppers or scorpions as a cheap and sustainable source of protein. Back in Hanoi the worm fritters will no doubt remain a cold-weather staple.